Do you love the Escape but need more stability? Look no further than the Getaway. While it shares the feel and glide of an Escape, the Getaway boasts a more predictably overstable flight with moderate fade. 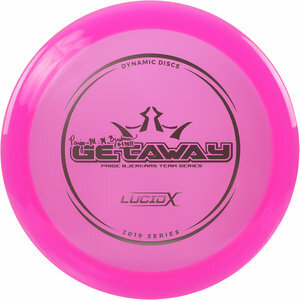 When straighter flights with a subtle fade are a must, trust the Getaway. A big portion of each sale goes directly to Paige Bjerkaas and her touring efforts.